If you have questions, please call School Community Services, (520) 225-6400, or email scs@tusd1.org . For more information, see Policy JFB, Enrollment and School Choice. Enroll your child in your home school. All children who live within the attendance boundaries of a school will be admitted to that school. You can look up your attendance area school on Pima Association of Government's school-address look-up. TUSD offers many option for the school your child attends. See Attendance Option Guidelines for more information. TUSD's open enrollment and magnet schools provide you with options! You can apply to have your child attend any district school through open enrollment. As long as there is room, your child will be accepted. 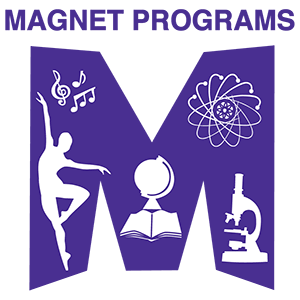 Our magnet schools offer programs and classes in specific areas, such as fine and performing arts, science, math, technology, and more!